This week’s float was again beneficial. One thing I love about the tank is that it delivers to you whatever you are needing… every single time. There were two things I was needing when it came time for my float this week. Rejuvenation and Business Vision Clarity. Probably the first 1hr and 15mins of my float was straight up Relaxation. No breathing techniques. No energy/emotion processing. No inquiry. Nothing. I simply floated and stilled my mind. It’s awesome to observe the process of the body and mind resourcing itself. All of a sudden, I felt rejuvenated and ready to gain clarity about my business vision. I didn’t ask the God-mystery-thing what the vision is, I asked “What do you want me to know about launching my Movement?” The answer came to me. 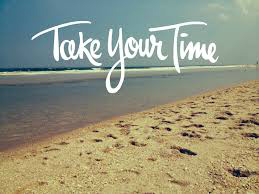 “Trust and take your time with it.” This message was extremely valuable for me. I’ve been grappling with getting some workshops on my schedule asap. Spirit reminded me that I’m always provided for, so there’s no NEED to rush. There are important priorities to take care of before doing the workshops. As an achiever personality type, this reminder has served me well. I’ve been more relaxed and at ease with the timing of my progress.